Haven’t you always wondered if those recipes you’re constantly pinning on Pinterest are any good? Well I’m here for you! With more than 600 food related pins, I’m a bit obsessed. 😀 Some look incredible, other’s I’m a bit skeptical of so let’s try some out! I’ll let you know what I think and if you should try them out too. 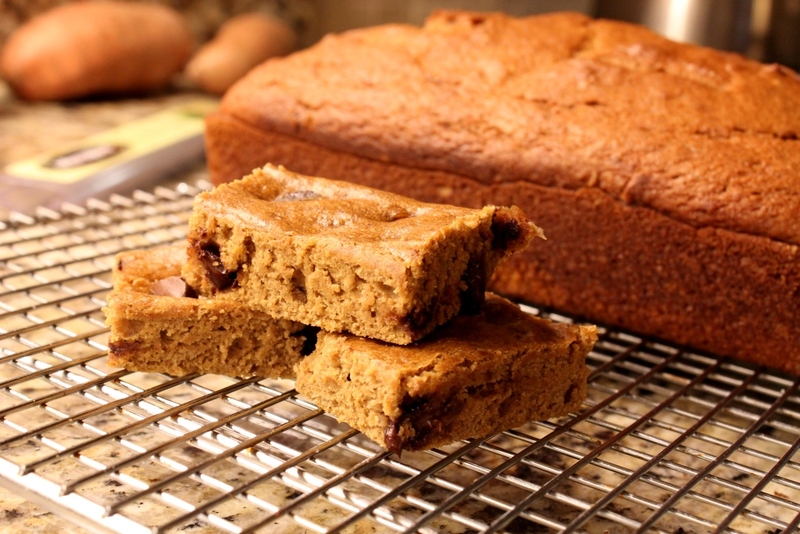 First up, Chocolate Chip Pumpkin Bars which fit perfectly in my pumpkin themed baking weekend. After making the ubiquitous pumpkin bread for my sister for my parents to take down to Waco for Baylor’s Family weekend I had some pumpkin left. What to do? 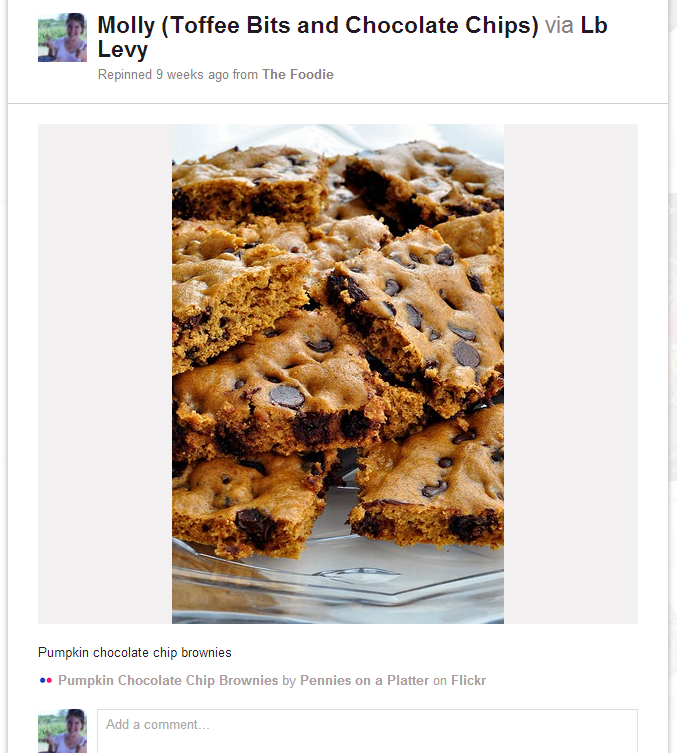 Scour Pinterest for pumpkin pins! It seemed easy enough. And it was! Mix the wet ingredients together, mix the dry ingredients together. Then add dry to wet and stir to combine. 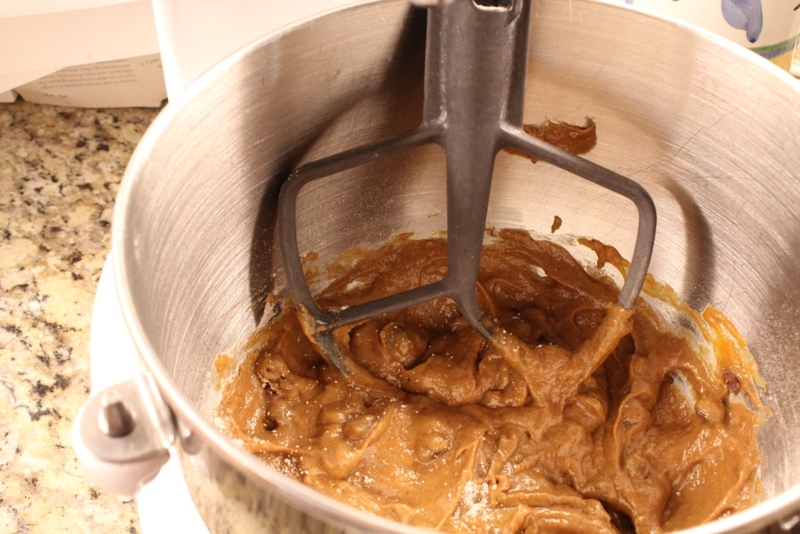 Then mix in the chocolate chips. Bake Bake Bake that orange chocolately goodness! These were good. A bit heavy on the spices for my taste though and the texture was very spongy. My co-workers loved them though! Next time I make them, I would cut back on the spices and add more chocolate chips. Preheat oven to 350 degrees. Coat a 11×7 inch baking dish with cooking spray. In a large bowl mix together the pumpkin, egg, egg whites, and oil. 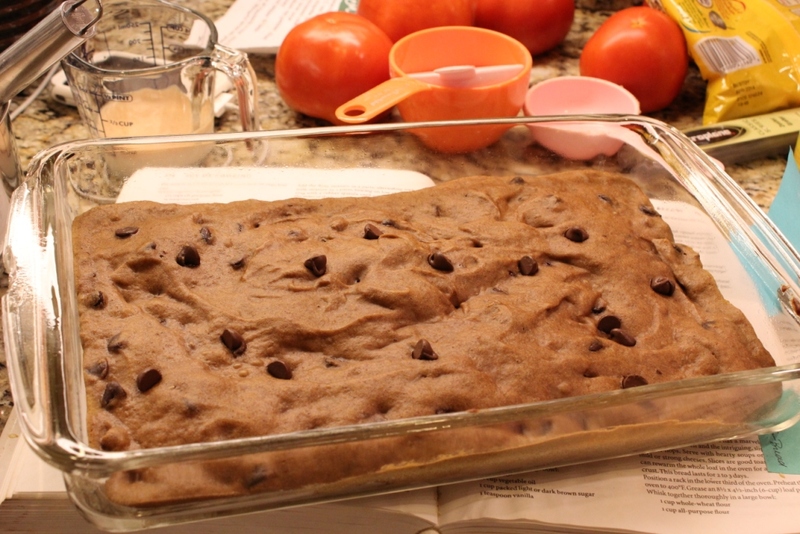 In another bowl mix together the remaining ingredients, except the chocolate chips. Pour into prepared pan and bake for 15 to 20 minutes.